2 Bdrm 2nd flr Flat. Hall. Boxrm. Living rm. Kitch. 2 Bdrms. Bathrm (CT band - A). Price £54,950 Entry by arr. Viewing contact solicitors. (EPC band - E). 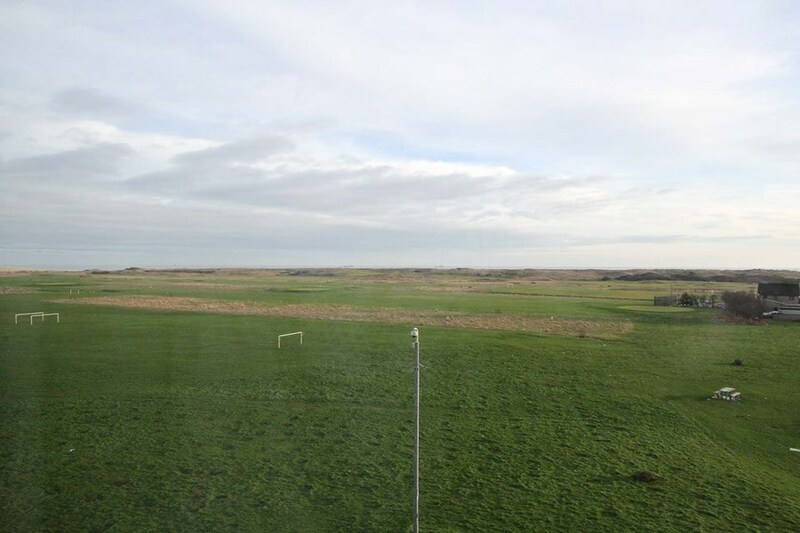 Forming part of a well maintained multi storey building with lift access we are pleased to present for sale this, second floor flat, with spectacular views along the coastline and towards the sea. The property requires a degree of modernisation but would make an ideal first time purchase or buy-to-let investment due to the location being in close proximity to Aberdeen University and the City Centre. The accommodation comprises of: Entrance hall; spacious living room; two double bedrooms; boxroom; bathroom. There is also a communal drying room/bin chute located on the same floor and all windows are double glazed. The white goods, fitted flooring, light fittings and kitchen blind will be included in the sale. location: Aulton Court is situated in the popular residential area of Seaton, within minutes walk of King Street and a wealth of local amenities. A regular bus service provides easy access to the City Centre, Aberdeen Beach with it's many social/recreational facilities, a municipal 18 hole golf course and local shops and the industrial estates of Bridge of Don. The University of Aberdeen, Old Aberdeen Campus is also within easy walking distance. directions: Travel east along Union Street continuing onto King Street, proceed a good distance along until you reach the St. Machar Drive roundabout. Take the third exit onto School Road, then the fourth left onto Seaton Crescent. Aulton Court is located a short distance ahead on the right hand side. entrance: The building is accessed via a security entry system; lift and stair access to all floors; communal drying room/bin chute located outside the flat on the same floor. hall: Hardwood exterior door with glass panel give access to the hall; wall mounted security door entry handset; smoke detector; fitted carpet; pendant light fitting. boxroom/store: (2.07m x 1.85m) Accessed via the hall this room is currently being used as a store; shelved area; electric meter cupboard and fuses; fitted carpet; pendant light fitting. kitchen: (3.63m x 2.04m) Well equipped kitchen fitted with a good range of base and wall mounted units linked by co-ordinated work surfaces and tiled splashback; stainless steel sink and drainer; side facing window fitted with a Roman blind; built-in storage cupboard housing water tank; vinyl flooring; pendant light fitting. Note: The electric cooker, washing machine, tumble dryer and fridge/freezer will be included in the sale. bedroom 1: (4.25m x 2.92m) Superb rear facing bedroom providing an open outlook towards the sea; built-in storage cupboard housing old warm air boiler (no longer working); BT point; fitted carpet; ceiling light fitting. bedroom 2: (4.25m x 2.81m) Further good sized double bedroom with rear facing window offering great views towards the sea; ceiling light fitting; fitted carpet. bathroom Fitted with a three piece white suite comprising of: W.C, wash hand basin and bath with electric shower over; ceramic walls tiles; wall mounted mirrored medicine cabinet; painted wooden floor; ceiling light fitting. outside: There is ample on street parking facilities available to the front of the property and off street parking is available at an extra charge through Aberdeen City Council. 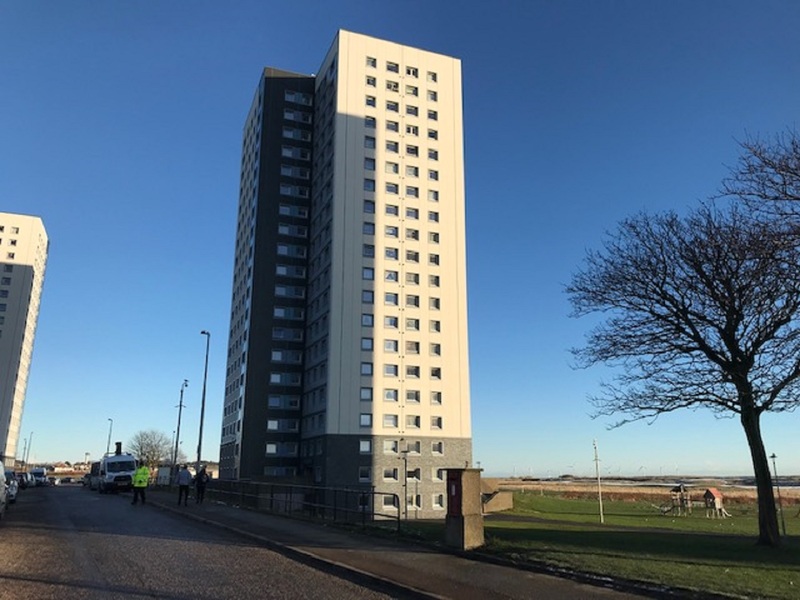 general: A factoring fee through Aberdeen City Council is approximately £119.00 per quarter, this is for the maintenance of the lift and all communal areas.